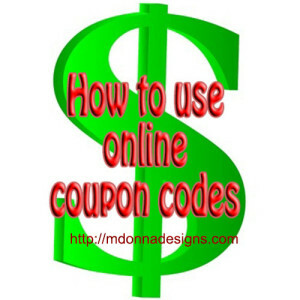 Find your favorite online promo code sources. Find your retailer, and look for your discount codes. Click the link to open your favorite store’s website. For best results, right-click the link and open a separate window so you can still see the coupon codes when you are ready to check out of the store. This way, you can easily double check the exact spelling when entering your text. And remember that uppercase and lowercase sometimes matters, so be very careful when typing. Shop for whatever you need. Pay special attention to any minimum requirements that you need to meet to receive the discount. Some stores want you to make a minimum purchase to get the discount; other retailers may want you to purchase a particular product. Do not pay yet. You must enter the coupon code before you pay for your products, or you won’t get any money off your purchase. When you check out, BEFORE you pay, look for a special box that says, “Enter your coupon code” or “Enter your promo code.” Look at the price before you enter the code, and compare it to the price after you enter the discount code. Did you see the number go down? If not, then re-enter the code or look for a new one. If the code is expired, report it to the webmaster so they can update their site for the next shopper. Check out and enjoy your new purchase. That’s how to use an online promo code to get a discount. Make sure you bookmark our website so you can always enjoy receiving the best frugal tips and advice about saving money. Feel free to add your money-saving tips below.